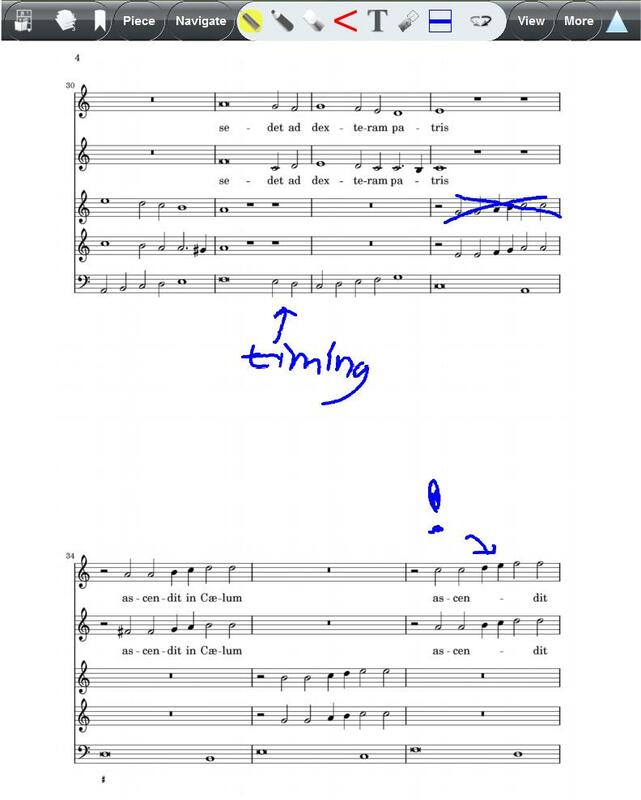 The pencil tool can be used for creating annotations on the sheet music. This pen is pressure sensitive(if supported) and uses the settings set in the Color & Line Width panel, in the Colour & Line Width-icon the pen thickness as well as color are shown. Everything drawn with this tool can easily be removed by using the Eraser or Undo/Redo/Clear Page function. Posted by: Nick Leoné - Tue, Feb 15, 2011 at 1:45 PM This article has been viewed 4556 times.